If you are a regular visitor at AlwaysBoardNeverBoring (and why wouldn't you be? ), or you are that one person who likes my books and follows me on Facebook, you'll know that I haven't been around much recently. When you spend a lot of time self-promoting on social media sites, or blogging, a few days away from the computer is an eternity. The world moves so quickly, and it has no intention of easing up just for you. After a long weekend, people are already beginning to forget who you are, and after a week you might as well cancel your passport and start digging a hole, because the world is going to pretty much deny your existence completely. I was away from my computer for over a month. It has been over two months since I updated this blog. I was going to go with a classic... The dog ate my free time... But the truth is, as dull as it may seem, I've been ill, and that illness put me so far behind with work, family commitments, and life in general that it has taken until now just to catch up. The illness in question was probably the flu, but calling it "flu" really doesn't do it justice. This was a very special kind of flu that really wanted me to know it meant business. It started with almost two days of hallucinations, during which I was utterly convinced I was a giant hunter (that's the last time I decide to watch a full season of Attack on Titan when I'm under the weather). After that, there were days without sleep, muscle pains, headaches, a sore throat, hot and cold sweats. Pro-style vomiting. Ten out of ten, award-winning, standing ovation, lap of honour, for God's sake kill me now vomiting. But every cloud has a silver lining (and in this particular case, a bit of stomach lining too). While I was talking to Hugh on the big white telephone, inspiration struck. "I haven't reviewed Pandemic yet," I thought to myself. To be honest, this is a review that is so late to the chicken pox party, I might as well be reviewing a VHS. I doubt there are many gamers, even casual gamers, who have never heard of Pandemic, so anything I have to say on the matter is a bit redundant. Still, I've never let being late and redundant stop me so far, and I don't see any reason to change. Multicoloured cures. Taste the rainbow. Pandemic is, of course, a superb game. I'm not going to be one of those cool guys who flies in the face of popular opinion, or scoffs at the list of awards the game has accrued around the world, so we'll get that out of the way right now. It's incredible. 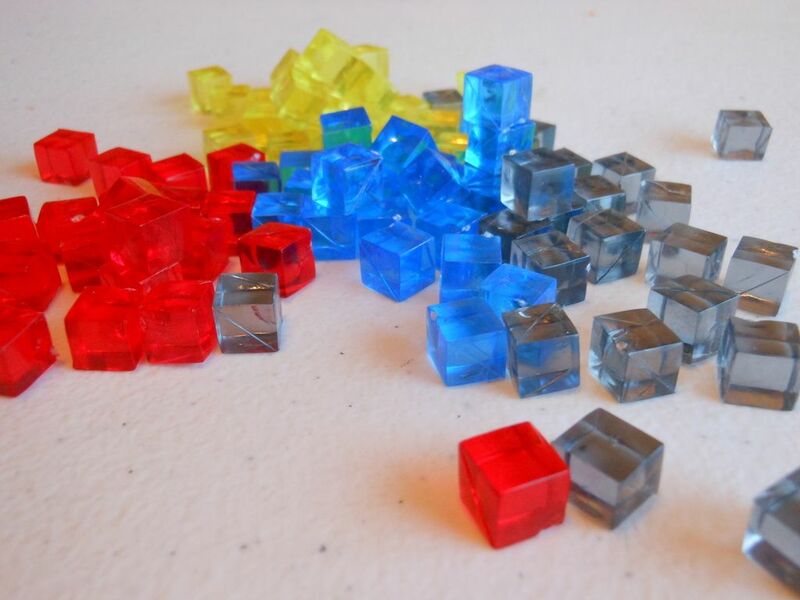 It is a lean, compact co-operative game in a lean, compact box, offering gamers about an hour of genuinely tense, edge-of-the-seat entertainment. For anyone who doesn't know, the game involves two to four players rushing around a map of the world, attempting to hamper the spread of four colour-coded diseases, while also trying to create cures for those diseases. The players win if they cure all four diseases in time, and they lose if there are eight outbreaks, a disease spreads too far around the world, or they run out of time. A game board done right. It's a great theme, and makes a refreshing change from romping around dungeons smacking dragons on the nose with a rolled up newspaper. In fact, it is a theme that really works to make the game as open and inclusive as possible. There are plenty of people in the world who don't like fantasy, or science fiction, or war, or zombies. There are plenty of people who find horror games unpleasant, or games about wizards a bit silly. I even know someone who doesn't know who Gandalf is. The other week I was playing a game of The Dwarf King with someone who is colour blind, and when he asked which suit was green, I told him it was the suit with the dwarfs on it, and he didn't know what a dwarf was. But everyone knows about diseases, and the threat of a worldwide outbreak. Everyone can relate to being a scientist rushing around trying to find a cure before time runs out. Everyone wants to be the person who saves mankind by curing something incurable. This is real, human drama; and real, human heroes. Oh yes. If you have a bunch of friends around who don't really know much about board games, and you drop your copy of Super Dungeon Explore on the table, you are probably going to see eyes glaze over. Pull out your Pandemic (yikes), and I think you are going to get a different response. While the theme is the bait, the hook is the economical ruleset, which offers an incredible wealth of tactical depth without countless exceptions to remember, or little rules that only crop up every other game. There is just a very simple sequence of play in which a player performs four actions (possibly playing some cards), draws two cards, and then draws a card that advances the spread of the diseases. Diseases have never looked so delicious. Choosing actions is interesting, and players often have to make agonising decisions based on a small selection of cards. Even moving around creates a fascinating predicament: a player may move to an adjacent city for one action, a player may take a direct flight to any city on the board by using an action to discard a card that matches the city name, or a player may charter a flight to any city by discarding a card that matches the city he or she is currently in. So, is it worth moving slowly and steadily to reach a location, or should you to take a direct flight to London, burning your London card for the sake of speed? Over the course of the game, players need to build research stations. 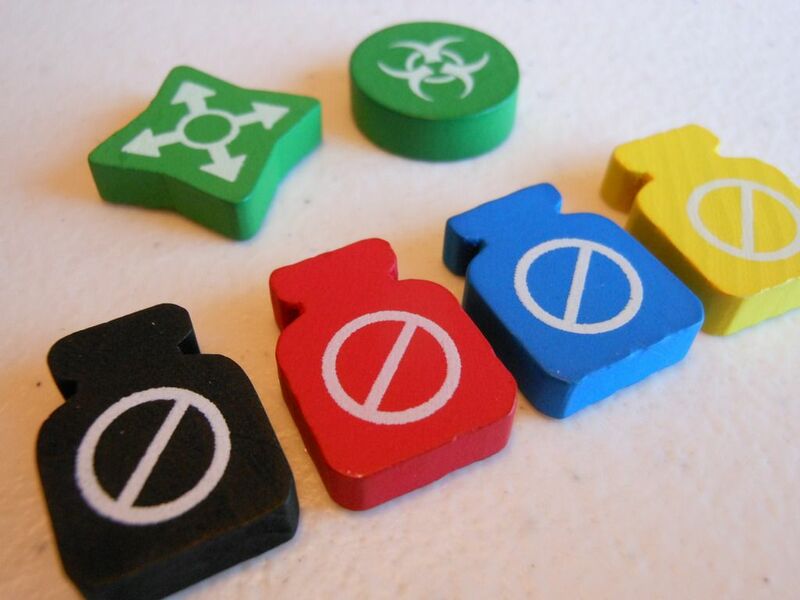 Players are allowed to move directly between two stations for one action, without paying a card, and the stations also allow players to find cures for the four diseases ravaging the planet. The problem is, to build a station, a player has to be in the correct place, with the correct card. 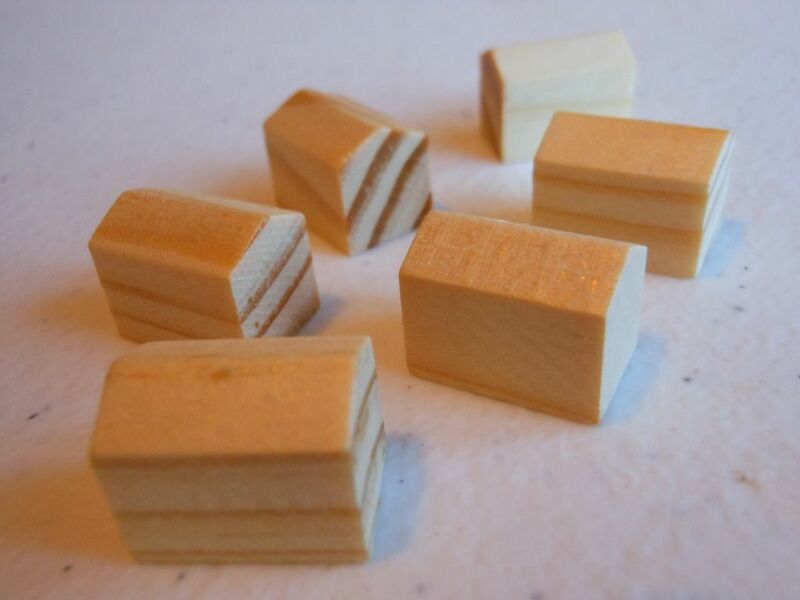 For example, to build a station in London, a player has to go to London and discard a London card. Oh, by the way, there is only one card for each city. It costs $100 a night to stay in my research station. Already, you should be able to see where the agonising decisions come from. You are in Moscow, but you want to build a research station in London. The quickest way to get to London is by direct flight, but if you do that, you have to discard the London card you have. If you discard the London card to get to London, you no longer have the London card to discard to build the research station in London, and then... ARGH! But wait... Wait... You also have a Paris card in your hand, and Paris is adjacent to London. You could take a direct flight to Paris, discarding the Paris card, use an action to travel to London, and then discard your London card to build the research station. Oh, but wait... 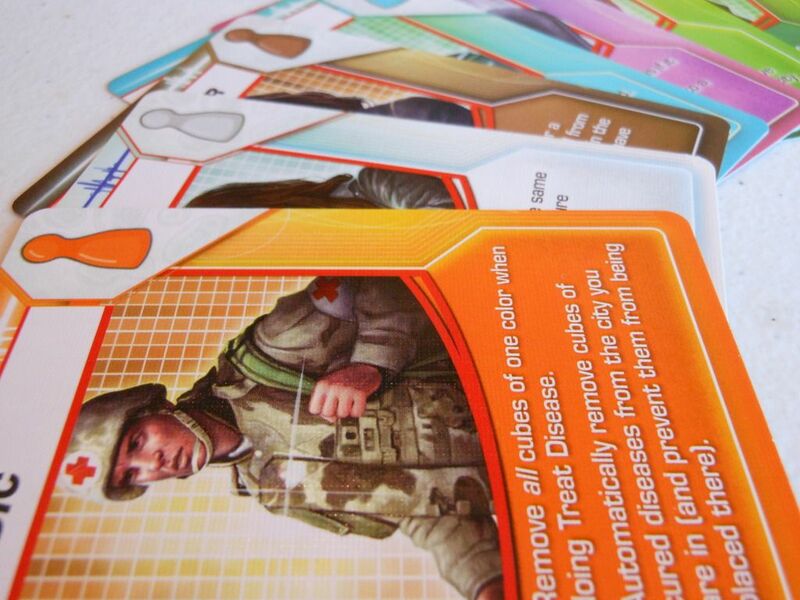 Wait... To cure a disease, you have to visit a research station and discard five cards that match the disease's colour. You've just burned a blue Paris card and a blue London card in a single turn, and there are only 12 cards of each colour in the deck. Plus, you can only have a maximum of seven card in your hand, and you've just used two. What are the chances your last five cards are all the same colour? Fortunately, each player character has a unique special ability to make things a bit easier, such as the ability to easily swap cards with other players, or the ability to build a research station without discarding a card. The character roles are allocated randomly from a selection of seven, and figuring out how to combine the available powers effectively is a brain-burning mini game. The game generates plenty of table talk, tension, and... typhus, probably. There will be lengthy debates on the best way to reach Tokyo before it falls to the spreading infection. There will be heated discussions about how to build a research station at the other end of the world. And there will probably be an argument about who ate the last cookie, but you get that with all games... Or is that just my gaming group? 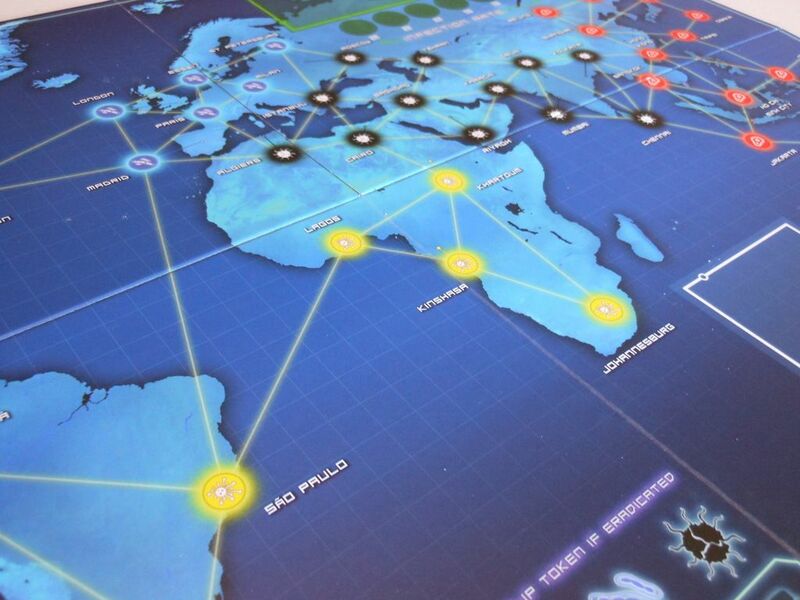 Pandemic is a proper gamer's game, offering beautiful components and a genuine challenge. 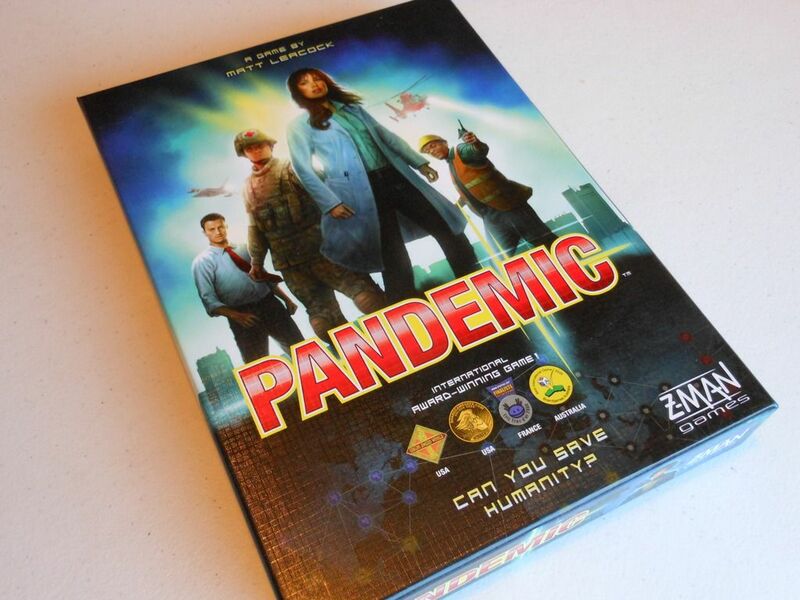 But Pandemic is also a proper non-gamer's game. It is perfectly designed to bring people together, with a universally understandable theme, a slick and modern presentation, a streamlined ruleset that takes only a few minutes to explain, and a co-operative play style that promotes discussion and ensures everyone gets involved in every player's turn. I can't guarantee that after playing a game of Pandemic non-gamers are suddenly going to have an epiphany and rush out to buy Carcassonne, but I'd say you've improved the chances. 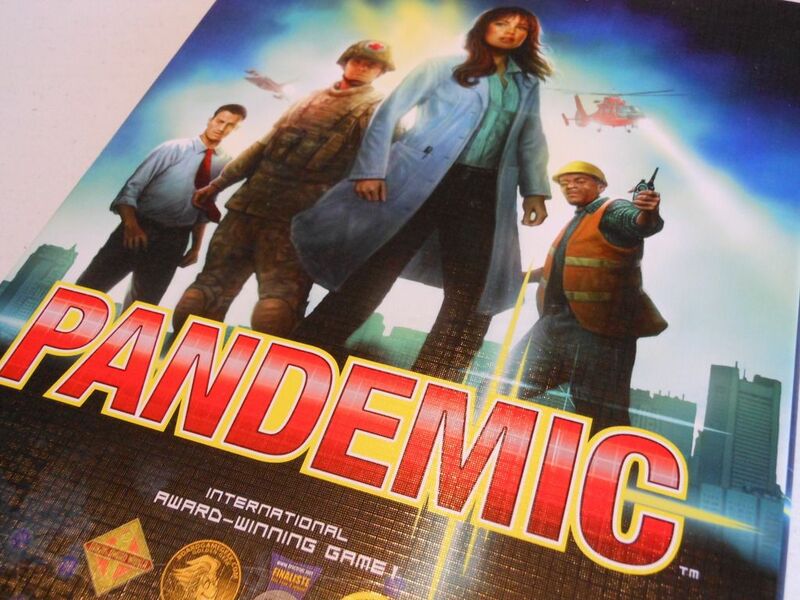 Pandemic was, is, and perhaps always will be, one of the very best ways to infect people with the boardgaming bug. And we all know there's no cure for that. Sadly, I have never played Imperial Assault, and I don't own a copy. It does look excellent.